New Delhi: Rolls-Royce is pioneering the power that matters so that its customers can give a cleaner, more efficient and reliable experience to travellers. 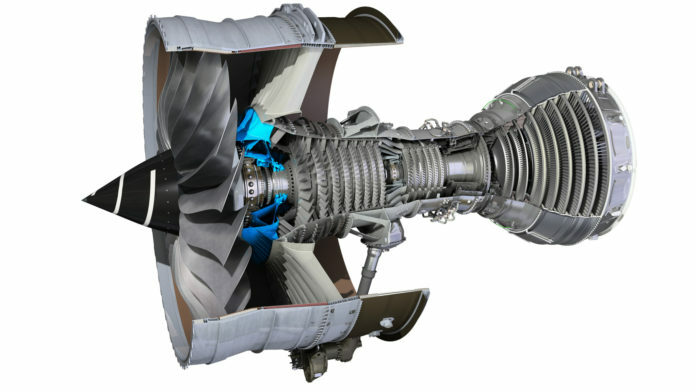 At Wings India 2018, the premier civil aviation exhibition in the country, Rolls-Royce is showcasing its latest Trent aero engines including the Trent 7000, Trent 1000 and Trent XWB which offer the very latest in aero engine technology delivering fuel efficiency and environmental performance to support India’s growing civil aviation industry. The Rolls-Royce booth (Hall A Booth 31) also features a visualisation of a Carbon Titanium (CTi) fanset being developed for Rolls-Royce’s next generation UltraFan® engines, and a quarter scale model of Trent 7000 engine that exclusively powers the new Airbus A330neo, along with interactive audio-visual content. According to aviation regulator, Directorate General of Civil Aviation (DGCA), India’s domestic air traffic nearly doubled to 117 million passengers in 2017 compared with 67 million in 2011, driven by a strong economy and low-fares and most airlines are pursuing expansion plans to support this rapid growth in passenger traffic. Rolls-Royce, which early in the next decade expects to power more than 50 per cent of in-service widebody passenger aircraft, has a strong track record of supporting airlines’ growth and helping them transition from narrowbody to widebody fleets. In India, Rolls-Royce has been steadily building its capabilities across engineering, manufacturing, supply chain, digital and customer support to support local growth. The Aerospace Engineering Centre in Bangalore has over 600 engineers contributing to global aerospace engine programmes. Rolls-Royce’s R2 Data Labs, an acceleration hub for data innovation which set up a facility in Bangalore last year, develops data applications that unlock design, manufacturing and operational efficiencies and creates new service propositions for customers. A growing footprint coupled with its strong commitment to India enables Rolls-Royce to offer the right combination of experience and new technologies and contribute towards India’s growth ambitions. • Rolls-Royce pioneers cutting-edge technologies that deliver the cleanest, safest and most competitive solutions to meet our planet’s vital power needs. • Rolls-Royce has customers in more than 150 countries, comprising more than 400 airlines and leasing customers, 160 armed forces, 4,000 marine customers including 70 navies, and more than 5,000 power and nuclear customers. • Annual underlying revenue was £13.8 billion in 2016, around half of which came from the provision of aftermarket services. The firm and announced order book stood at £82.7 billion at the end of June 2017. • In 2016, Rolls-Royce invested £1.3 billion on research and development. We also support a global network of 31 University Technology Centres, which position Rolls-Royce engineers at the forefront of scientific research. • Rolls-Royce employs almost 50,000 people in 50 countries. More than 16,500 of these are engineers. • The Group has a strong commitment to apprentice and graduate recruitment and to further developing employee skills. In 2016 we recruited 274 graduates and 327 apprentices through our worldwide training programmes.